Neon Homes on Road no 12 in Banjara Hills, Hyderabad, is a tasteful and beautifully furnished property. 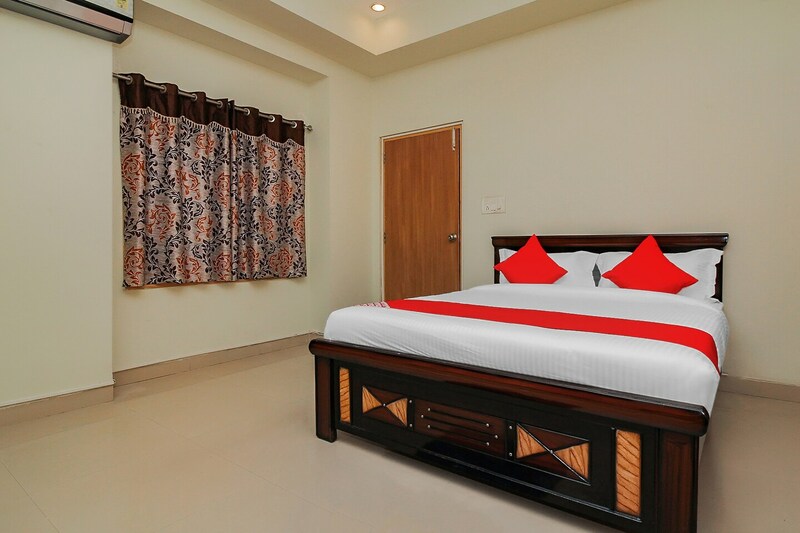 It is close to Kasu Brahmanandha Reddy National Park, Shri Jagannath Temple, and City Centre Mall. Apart from a banquet hall, the property has spacious rooms with elegant wooden furniture and large wardrobes. Soft and warm tones and windows make the rooms comfy. The living and dining areas are also furnished in a classy manner. Each room here comes with TV, AC, and a seating area. The property also provides free Wi-Fi and parking. Some nearby eating joints include Subway Cafe, The Dining Room - Park Hyatt, Kaidi Rasoi By Aamantran, Aamantran - Sweets And Food Court, and Sant Spa Cuisine.